Day 1: Arrive Lima. Start your adventure into the Land of the Incas. Transfer to the Costa del Sol Ramada Airport Hotel. 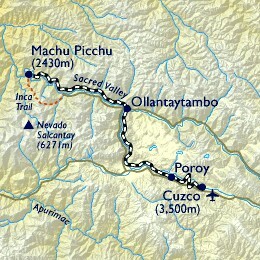 Day 6: Depart Cuzco. Transfer to the airport, bus station, or train terminal for the continuation of your trip. 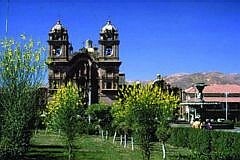 Extend your vacation to Peru by adding a tour to the north of Peru to see the renowned archaeological discoveries at the tomb of the Lord of Sipan or south of Lima to the Plains of Nazca. Or explore the Peruvian rainforests of Iquitos or Puerto Maldonado. Suggested Airfare: The airfare LIMA/CUZCO/LIMA or vice-versa is NOT included and may vary from $260 per person to $450 per person depending on availability of space. IMPORTANT NOTE: Airfare quotes are subject to confirmation in the inventory required for the quote. Inventory is limited and airfares quoted are subject to change without notice and cannot be guaranteed until tickets are issued. *In Tourist Class, the Expedition Train is quoted. In First Class and Deluxe categories, the VistaDome Train is quoted with a private guide. Dinner is included at El Mapi Inn. 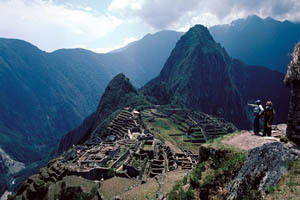 In the Deluxe categories dinner is included at the selected Machu Picchu hotel. 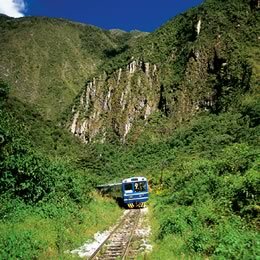 **For this program the overnight at the Belmond Sanctuary Lodge is not possible, as the evening train to Machu Picchu arrives in Machu Picchu Town (Aguas Calientes) too late to catch the last bus transfer to the sanctuary.